Customer Support was excellent, just as the equipment. I liked that the technicians always make sure that you know how to operate your box before they leave your home. It was very easy to install because everything came in a package. We did it ourselves and it wasn't hard at all. They're quick to respond when the alarm set off, so I'm very pleased with the service. Protect America has been a positive experience. I recommend it because the price is competitive, and I would say it has given me the service that I have paid for. I installed it myself, and didn't have any problem. The system has not gone off in terms of home invasion or anything, but if I had one criticism, it would be that sometimes the battery does not last long. So far, the equipment has worked very good. I have several installation and no installation system, but they've worked just fine. I wanted security in my house while I was working, so that I would know if something happened at my home. They installed everything. The equipment is one hundred percent fine, it's great. They've always done everything that I asked them to do at customer support. One time I asked them if they could send someone out and they said they didn't have anybody close by, and then I closed the phone and they called me right back and said they did after all, so they sent him. That was the only time that they sent somebody. Protect America was recommended to me. I followed up on that recommendation, and it's been a good relationship. The price is right. Customer service makes it sort of like two companies. When I had some problems, I was dealing with people that were low-authority on the phone call; it was a lot of frustration, but once they hooked me into one of the advisers, she went way overboard and just fixed all the problems and restored my faith. Installing the equipment's a little bit cumbersome, because I was an old timer when there were actual physical techs that came to the house. I think my first system was back in 1988 or something like that, so I had an agent that came to the house. Now, when I upgraded my system I had to do it all through the phone, and it works, but it can be a little bit cumbersome. The new upgrade has been working well. We have had very little problems with Protect America, so we haven't dealt with them as much. We did have our analog replaced because we went through a different phone system, so that was good. Besides that, it's worked fine! I didn't have a good experience with their customer support. They want the customer to do the entire installation process. My mother in law had it for a few months, and it never worked. She's 93, so we called them to send somebody over to install it for her, but nobody would come. Finally, when they did come, they charged her $150, so her son just told them to cancel it. They just want you to do everything, plus pay the bills. The equipment really has some flaws. Their customer support was fine, and so was the installation, however, I did have some problems with the sensors. Besides that, it's been a convenient service. I decided to go with them based on cost. Everything has worked as designed or as it's supposed to. I think everything is as expected. I've had no problems with customer support. Whenever I needed an answer they were there; I didn't have any issue. Installation was fairly simple—they just teach you over the phone. I had to do it myself, but I knew that beforehand, so I had no issues with it. I think it's great! The equipment is very durable, it's easily replaceable, and it's easy to switch things in and out. I am used to working with these items, so it was easy for me to install. However, even for a novice, I think it would've been easy. Plus, everybody that I've had to contact has been great, very knowledgeable and very professional. Everything seems to have worked out just fine! Installing and using the security equipment was fine. They sent us one piece of other equipment; Nadine was very helpful and she told us how to install it and everything, but all the other people need to be trained better. 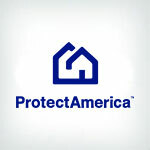 We switched to Protect America because we weren't satisfied with our prior alarm company, which was ADT. They've gone above and beyond, with their level of customer service, to make sure that I always ended up with what I needed. Setting up the system was pretty easy. They send you instructions and kind of put the sensors where you need them. The equipment has had its glitches, but Protect America has always made sure that I had what I want. Overall, I think that they are a really good company that stands behind their products well. We originally chose them for the service they offered. We did the installation ourselves, and our experiences with the equipment and with customer support have been okay. We'd like to say that it was a little cheaper but they're about the same as anybody else. I've had a great experience with their equipment so far. They upgraded my system over the years. I had a great response when somebody broke into our house, they responded immediately and the police came over right away. Installing the equipment was also very simple because I installed everything myself, and they walked me through the whole process over the phone. I like Protect America very much. I feel very secure having them as my security system. I chose them because they were rated so highly. I've had no problems at all with customer support; they're very helpful. The equipment is very good, and installing it was fast. Installing the system was quick and efficient. So far, it's worked very good and it's been reliable. Customer support is always there when I have a question; they're very responsive and did a good job. I would recommend it to anybody that wants good security. If I need anything from customer support, they're readily available to help me and they are helpful whenever you call. I chose them because it looked like a good deal for the price. It's self-installation and it was pretty easy too. It's been good using their security equipment. Installing their equipment was simple, and my experience with it has been excellent. I chose to go with Protect America because it was inexpensive, and their customer support has been very reliable and consistent. I think they offer a reasonable price. All of their Customer Support representatives have been good; we have not required much support. They sent the wireless system, and we self-installed it. Once we got everything attached, we called, and they activated the system. Even after 8 years, the equipment is still working. We will certainly stick with them. I haven't had any problems or false alarms. I just think that they have an excellent product. Their customer support is very, very friendly; they have the ability to answer questions and interpret what the customer is saying, because sometimes what the customer is saying and what they need to do are two different things, but they're just wonderful on that aspect. I've had just excellent responses from their customer support. Whenever there is a question or an installation item, I can call them and they'll walk me through the process. When the battery was low I had to replace it, and it was somewhat complicated, at least to me, and they walked me through that, and spent a long time helping me on that particular issue. They have good prices! The first time was good and the installation was great! However, we had to install it ourselves the second time, but they helped me out, so that was good. The equipment has worked out just fine so far. We've had good experiences working with Protect America's customer support and using their equipment. We were referred to them initially, and the installation was easy. I just feel secure that I can leave my home at any time, and there's an alarm there that will work if needed. I purchased Protect America mainly because of its affordability, and I haven't had any problems with it so far. They offer great customer support, and there were no questions asked when it came to upgrading my system. They sent me the equipment within probably a week. All I can say is we're very satisfied with it. Their customer service has been outstanding. Whenever I had a problem, I called and they were always cooperative. They've always responded, in a professional way, to the problems that I presented. The installation process went well, because at the time that I subscribed to Protect America, they sent a couple out to my home and that couple installed the security system into my home. I purchased this home in 1999, and I've been with Protect America ever since. The reason I'm still with them is because of the services they provide, and the professionalism that they offer to their customers. Well the first time we set up the system was fine, but I really didn't care about the second time because I had to do it. They helped me over the phone, and I didn't really like that. Besides that, they were good, really nice, and very quick. Protect America was definitely our first choice. It's been great, every time I have a problem, question or something they take care of it. Installing the system was easy; it's been great to have them! I think what I like is a lot of extras that we get every time that we order anything, and you don't have to pay for it all the time. Their representatives were very, they were good sponsors and very helpful. Although we purchased it many years ago, the installation went well. It's been a very positive experience. So far, we've been very pleased with their customer service. Installing it was great, we did it ourselves. They gave us a discount through my husband's company, so that came in handy. The main reason I chose Protect America is because it was small wireless ball, and I can take it from house to house. I can say I'm satisfied with it because I've had the original equipment since 2003, and it's still working. Plus, the installation process was good, it just took quite a while to set up, that's all. I think the customer service is good. It's reliable, I had no issues with that. The only thing I don't like is that it's a little too expensive to upgrade the system. Their equipment is not easy to upgrade. Since I don't have WIFI, I could not upgrade my system, however, they did a pretty good job installing it. Besides, their price was lower than others. I don't have any complaints when it came to the installation process. They came to install it the first time, and after a few updates, they came out again. I have triggered the alarm by accident already, and they came online right away. Nobody is perfect, but they have certainly offered a positive experience. Something came in the mail about Protect America, and at that point I didn't have any security, and I chose them. I didn't know anybody else. Customer support has been very, very good. They call when anything goes wrong. They don't stop at one number, they do call whatever number it takes to get somebody. I just upgraded from having the one with the telephone line to wireless, and every time I had to call them they had always been very helpful. Installing it was a little difficult for me, but probably wouldn't be so to somebody else, because I am older. It was just a little difficult for me, but they walked me through everything, and they're really patient. It's been a very good experience. The installation was easy to deal with; I did it myself, which was why I chose them in the first place. I had all the customer support needed, both on the activation and testing, and a couple of false alarms. I upgraded it once, but the equipment is fine, its functions are regularly tested by myself and communication tested occasionally. it is a monitored line, and I had no problems at all. I saw an advertisement for them, and that's how I decided to go with them. Customer support has been great; they're really helpful and they're patient. They walk you through the program. It's really good. The installation was nerve-racking at first but once I got ahold of their people, it was okay, it's great. So far it's been great using the equipment. I tried it a couple of times and able to do pretty good and one time I was at home and I accidentally stepped on the emergency thing and the police came out and I was there so it works. They're good people. It's inexpensive and all the equipment is free and easy to install. I did the installation myself and it was fine. Customer support is excellent; any time I have a question or problem, somebody gets on there and helps me and is very patient and takes whatever time is needed to solve my problem. The equipment is fine. I had some instances were it has been set off accidentally, and the police department is here very quickly, very responsive. I think it's a decent company, and I have no problems with them. They've been very good. They've been very positive—every time I had to use customer support, they've been very helpful. I chose them because of the price, and I did the installation myself. The equipment is excellent. I've had a fair experience with the equipment. I did the installation myself. I wish they could have the door and window sensors better than what they have; they seem to wear out easily. Customer support seems to be really busy, but they're fine. I picked them because I knew someone that had the service. It takes a long time to get hold of somebody at customer support; you're on the phone for quite a long time... They're pretty good, but I just got disconnected occasionally, and sometimes they don't call back right away. Installation was slow, and I've had a fair experience so far with the equipment. They responded quickly when there is alarm set off and I definitely wouldn't do without alarm system any longer. Price and reputation were my main motives for choosing Protect America. Protect America is terrific, especially compared to other systems I've had to use. I chose them because their system had more entrance and exit points than the other system. Customer support was helpful, and the installation guys were perseverant and very helpful, too. I installed Protect America's equipment myself—it was very easy. I chose them because of the rate they offered, and actually it was part of the company that I was involved in as a home-based business. The equipment is fine... it's not working right now because I had a lightning strike that hit it just recently and knocked it out, so I need to replace it, but it's been working fine for me for several years, so I don't have any complaints. It was a little tedious to set up the system, mostly because it took about an hour, but it's worked fine. It worked just as expected. We've had to replace the battery a couple of times, just because they won't last for 2 to 3 years, but they send them in the mail and walk you through the process of hooking them up. During these 6 or 7 years that we've been with Protect America, they have kept us satisfied. Installation was very easy, and my experience with the equipment has been good. They were the first company that I didn't have to go through a whole lot of red tape with. They've been very supportive, they called me whenever my alarm went off and let me know. They asked me if everything was okay, or if they need to call the police or dispatch anyone out. I purchased Protect America because it was wireless. The equipment is functioning and works every time, however, I think it would be best if I have written instructions on how to manage the system. I need that so I can set my alarm and defuse when I want to. So far it's been a good experience with Protect America's equipment. When the alarm goes off, they send a road patrol out immediately, and they will find out what's going on. Mine went off one time when one of my windows went up, and they came by and checked it. My nephew had the system, so I decided I would get it, too. He put it in, it's so simple. It wasn't very hard for him. It's a very good company; they're very reliable, and we never had any problems with them. What we bought was a self-installation package; it wasn't expensive, and it was very easy. It's been fine, we haven't had any problem with the equipment. The customer support staff are fine, perfect; if we have any problem, we call them and they fix it. The customer support people have always been very, very helpful... I think the equipment is really easy to understand, and it was easy to install, too. The people on the other line were really good, talking us through it when we had to change our equipment after so many years that it had become outdated. It's been a really good experience for us over the years, and we're gone sometimes or a month or more at a time, so it's nice to be able to have a security and a peace of mind. I'm very satisfied with it, cost wise; we got it so many years ago, our cost is so minimal. When we're not home I feel good about it, and so does my husband. It's been very nice, we're very happy with our service. We've had Protect America for years now, and the system has worked well. Their representatives have been pretty good, however, I haven't heard from them in years. I really have not needed them whatsoever, but it wouldn't hurt if they check on us every once in a while. They're polite and don't mind helping me on whatever problem I have, but they add a little bit more hands on the relationship with their customers. I haven't had any trouble with my system, it's been there when I needs it. Plus, it wasn't hard to install. The system is good and simple; you just turn it on and it works.